The eligibility criterion is 12th pass and should have mathematical knowledge. I have not taken any entrance exams. No entrance exams are needed. Application forms for UG courses can be had from college office on payment of Rs. 150/- in cash or by sending DD for Rs. 200/- favouring Dr. S.N.S. 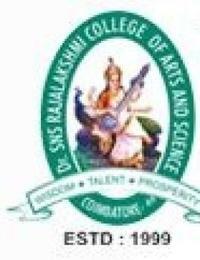 Rajalakshmi College of Arts and Science, Payable at Coimbatore. Application forms for MCA and MBA Programme can be had from college office on payment of Rs. 350/- in cash or by sending DD for Rs. 400/- favouring Dr. SNS Rajalakshmi College of Arts and Science, Payable at Coimbatore. Application forms for M.com(CA),MSc(CS), MSc(ISM) and MIB courses can be had from college office on payment of Rs. 200/- in cash or by sending DD for Rs. 250/- favouring Dr. SNS Rajalakshmi College of Arts and Science, Payable at Coimbatore. Candidates who apply for more than one course should apply in seperate forms. The application dually filled in all respects should be despatched to the college office. Documents to be submitted at the time of admission ( Original with 3 Photocopies). Statement of marks of the Qualifying Examination Passed.